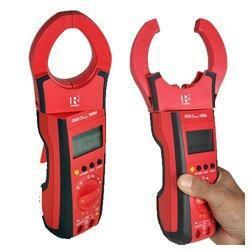 Prominent & Leading Wholesale Trader from Mumbai, we offer meco clamp meter, digital clamp meter uni-t ut 202a, digital clamp meter uni-t ut 209a, digital ac clamp meter, digital tong tester and fluke digital clamp meter 319. The New Fluke 317 Clamp Meter is designed based on detailed research into the specific requirements for electrical engineers. The small Clamp Meter head and lightweight, compact body make it ideal for use in confined spaces. 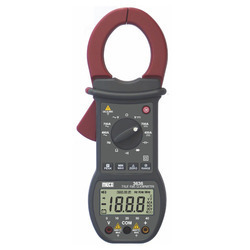 The 40A range low current measurement (0.01A resolution) design is unique and allows users to accurately measure small currents. 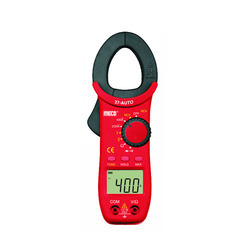 At the same time the clamp meter also has functions such as accurate, True RMS measurements, Maximum, Minimum Values, Zeroing, background light display, display protection and is a powerful tool in carrying out daily maintenance and installations. The unique new features of the 40 milli-amps measurement High-Precision current measurement--0/01A. 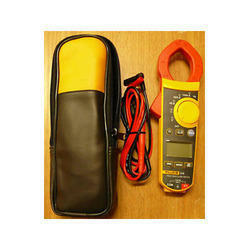 equipment; integration time is 100 ms (Fluke 319 only). of PWM output signal frequency (Fluke 319 only). Jaw Size of 55mm dia. Tear drop Shaped Jaws for easy measurement. 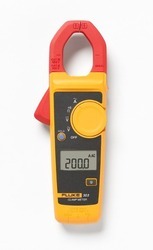 The Fluke 302+, 303 & 305 AC clamp meters have compact, ergonomic design, making them comfortable to use all day. 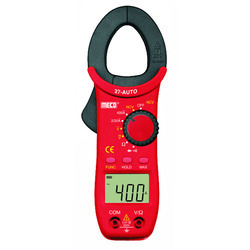 Thenew clamp meters offer a wide jaw opening of 30 mm for easy current measurements of high current cables & conductors whilethe slim & compact body ensures ease of usage even in tight spaces. 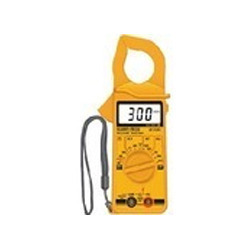 The clamp meters are ideal for electrical engineers /technicians who need to take a wide range of current measurements in residential, commercial and industrial installations. 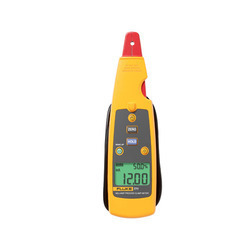 FLUKE 771 meter that measures 4-20 mA DC without breaking the electrical circuit. 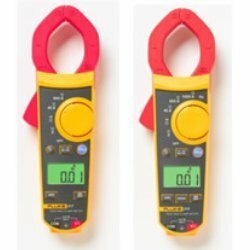 Unlike conventional clamp meters, this meter features a small jaw that easy to reach any place there is a cable carrying with a current. 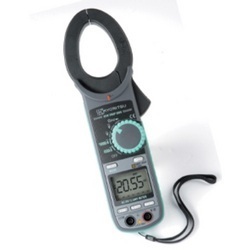 This meter takes a magnetic modulated technology, it can reach excellent sensitivity with great anti Earth Magnetical Field ab Milliamp Process Clamp Meter is a Hand-held battery operated clampability. 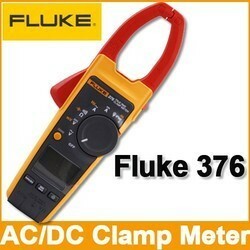 3¾ digit 1000A/300A Clamp meter measures Aac Vac Vdc F ? continuity Hz Dutycycle °C, at awkward positions of bus-bars, conductors difficult to access.180°rotating clamp jaws with 55/50mm Jaw opening Backlite display Auto/Manual mode,Double moulded soft touch cover & firm grip. for current measurements. 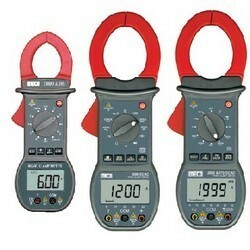 We also offer clamp meter in numerous specifications to customers as per their requisites.
? Recessed safety designed input jacks.
? Data Hold switch freezes reading. Display : 3½ digit 1999 counts LCD display with automatic sign & functions. Over range indication : MSB (highest) digit OL (1) or (-1) is displayed. Low battery : The symbol “ ” is displayed when the battery voltage drop below the operating Voltage. Power supply : Single standard 9V battery. Operating Temperature & Humidity : 0°C to 50°C; < 70% R.H. Storage Temperature & Humidity : -20°C to 60°C; < 80% R.H. With battery removed. Models : 3600 - 1200A DC & 1000A AC(TRMS), 3¾ Digit 3999 Counts, 40 Segment Bargraph, Auto - Ranging, peak hold, max, data hold functions. 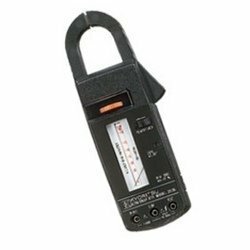 With precious understanding of the relevant industry, we are counted as the top most firm of premium quality Clamp Meter. 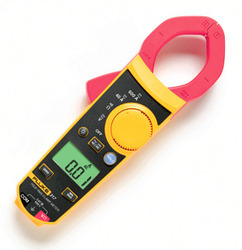 This clamp meter is used to measure the current flowing through a conductor. 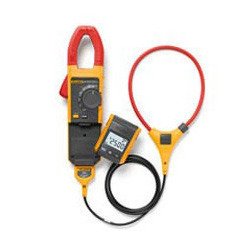 Our offered clamp meter is designed using premium quality material and modular techniques, in compliance with set industrial standard. 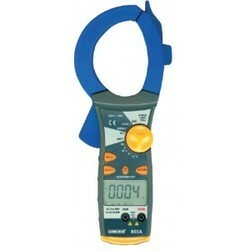 Provided clamp meter is checked on numerous parameters of quality in order to ensure its flawlessness. Audible continuity, diode test, capacitance, peak hold, data hold, max, APO, δzero. AC current upto 600 Ampere can be measured. Easy- to- use function makes it the best seller. Automatic zero adjustment. Low battery indication. Data Hold Function. LED light for proper connection in dimly light areas, which turns on when the clamp jaws are opened. 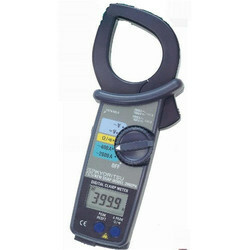 Magnet at the back side of meter allows user to fix the meter on metal surface making the measurement procedure easy.